Spertus Institute is a center for Jewish learning and leadership that invites people of all backgrounds to explore the multifaceted Jewish experience. Spertus Institute inspires learning, serves diverse communities, and fosters understanding for Jews and people of all faiths. Central to the Jewish experience, Spertus engages all who are eager to learn, whatever their stage in life, religious background, or knowledge of Judaism and Jewish culture. 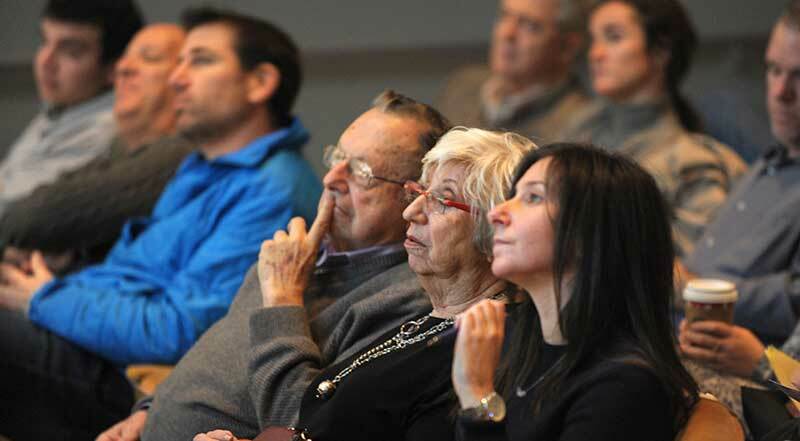 Because there isn't a single, identifiable Jewish community, Spertus is a place where Jews from different communities, with diverse interests and backgrounds, come together to learn and share experiences. Spertus brings understanding of the Jewish experience to people of all religious and cultural backgrounds. Spertus seeks to reach a diverse group of people with varied interests and backgrounds. As a result, the content and structure of our programming is as multi-dimensional and creative as the people we engage, inspire, and enrich. Excellent programming is not the only thing that students and visitors desire. State-of-the-art resources, thoughtful amenities, and a well-trained staff make our facility an open, nurturing, and engaging environment to serve both old friends and new audiences with care and excellence. As a premiere center for Jewish learning and culture, Spertus nurtures a culture of risk-taking and a willingness to experiment with everything from collections to communication style, from partnerships to program locations. Creativity and excellence are essential components of our offerings — from the intellectual rigor of formal degree programs to the richness of cultural celebrations. We will conserve and expand our world-class collections, and share them creatively for learning, research, beauty, and wonder. As part of Chicago's academic, cultural, and religious mosaic for nine decades, it is our responsibility to serve the people of Chicago and the Midwest by enriching life in the city and its region through education and the arts, and by preparing people to serve their communities. Learning, however, is not limited by geographic boundaries — and our work has impact around the world. To ensure long-term success, Spertus forges partnerships and collaborative relationship with other organizations — in the Jewish world, the arts and academic communities, and with those pursuing interfaith understanding.